Stirring The Plot is a fun, charming holiday mystery that will keep you guessing. With the well-written plot twists, cookbook recommendations and descriptions of delicious food, this series will be a winner for all mystery lovers. (I) like how Daryl incorporates other cozy series of books and LOTS of cookbooks. I am going to have to go look all of them up. And of course the recipes at the end of the book. I think I gained 5 lbs just reading them! 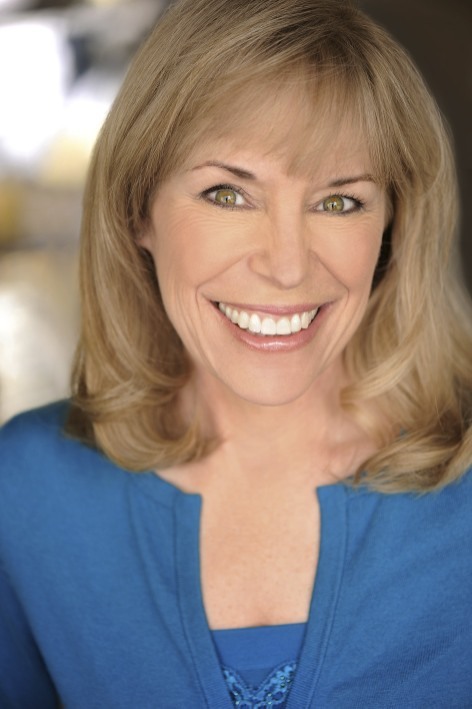 You really can’t go wrong with a cozy by this author whether she is writing as Daryl Wood Gerber or Avery Aames. All her stories are completely captivating and very entertaining. Daryl Wood Gerber gives us a well crafted mystery filled with interesting characters I want to read even more about. 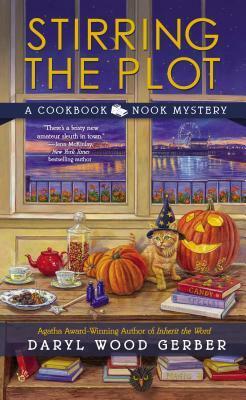 Stirring the Plot is a delightful Halloween-themed treat! 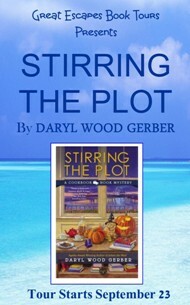 I’m confused…what does liking the Brigid Kildare Mystery Series on Facebook have to do with Daryl Wood Gerber’s “Stirring the Plot”? The author of The Brigid Kildare Mysteries is today’s stop on the tour. Duh, I didn’t link the two…thank you. I love cozies that are set around the holidays! This Halloween one looks so good! I like the cover. This looks like a good series, plus her recipes are delicious!